3D printers are becoming mainstream and the objects being built are moving from small novelty items to large functional ones. 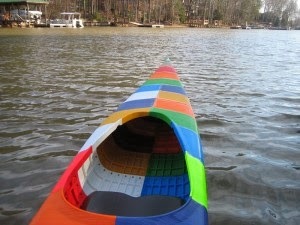 This is a kayak made from 28 individual pieces of 3D-printed objects. 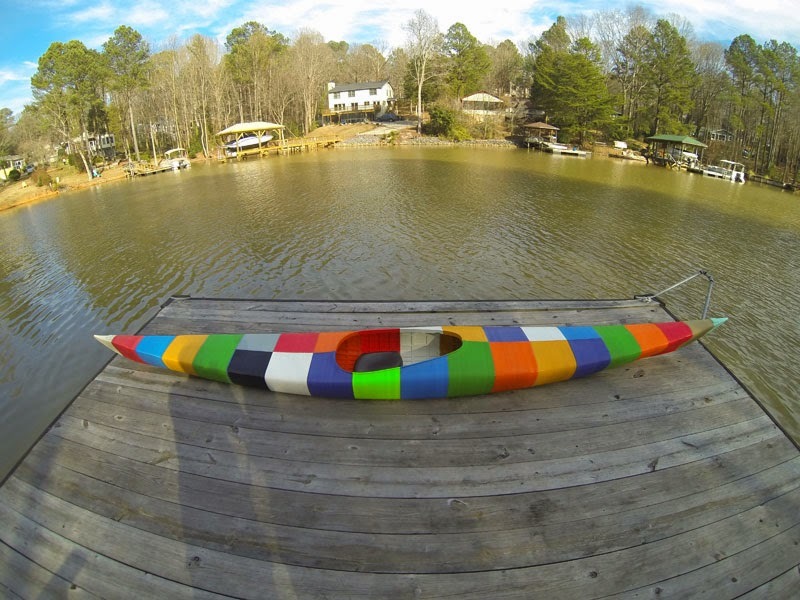 The kayak was made at Grass Roots Engineering and the specifications are impressive, matching closely to Perception's own single form molded kayak of about the same size. 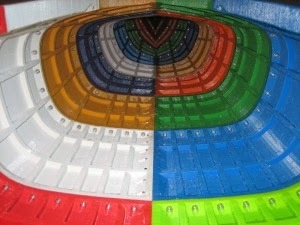 With the colors chosen, it rather looks like the kayak Lego built.